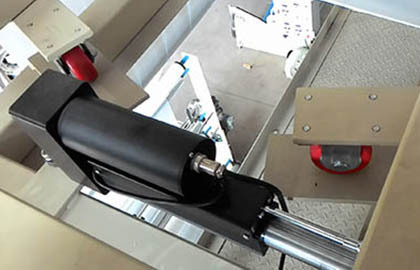 Tension Control system, Edge Position Control system, DC Motor Drive are the best solution for Web control and guiding, provided by Euntay Electric Co., Ltd.
Electric Cylinder EPM-6320 series equipped a small DC motor with high power, the internal mechanism utilizes precise gear working with pulley for transmission, is a durable, low-loss high-precision electric cylinder. Operation is easy and operation life is long. The whole mechanism is simple and is easy to installation. Using precision gear with pulley for transmission, torque output is stable. If necessary, could install encoder, so that the displacement control is more accurate. 【 Video 】To demonstrate the application of Edge Position Control System in Plastic Inflation Machine, usingDetector EPS-706,Controller EPD-3008,Drive Device EPM-6160. 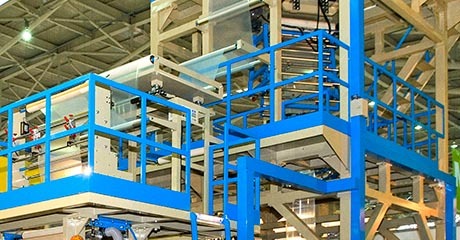 EPM series of Electric Cylinder is applied to the Edge Position Control of “Plastic Inflation Machine”.